T. Gilbert Pearson Audubon Society has an easy job for a website junkie who knows WordPress. We need someone to volunteer to coordinate our website -- putting articles and images on it, keeping it fresh and up to date for the world to see. If you have such abilities and time to spare each month -- a few hours, really --- to do a little service for your favorite Audubon group, please send an email to PearsonAudubon@gmail.com. Chimney Swifts Are Here Now! It is so much fun to watch Chimney Swifts go into their roosting sites, just ask Auduboners Stella and Tom Wear. 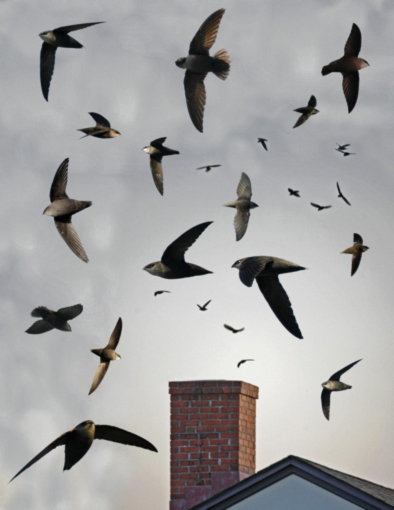 One night recently they saw hundreds of these swifts using a tower at First Presbyterian Church at 617 N Elm St, Greensboro. The Wears arrived about 8:45 p.m. just as the swifts were getting organized in their tornadic funnel shape before dropping into the tower. By 9:08 they had all entered the tower. If you would like to see this event, go just after sunset and park on Greene Street across from the church and look up. You will soon see the birds circling around above the church. Once they get organized and start dropping into roost, the process ends quickly. It is amazing – it is like they have a leader that signals that it is time to go to bed. Two other sites were confirmed in Fall 2016: Carolina Theater, 310 S Greene St., and Guilford County school property, 501 W. Washington St. Many places are possibilities. Watch the skies! The Swift Team will sponsor some Swift Nights Out in September. Watch for these important events. Dates will be announced in the September Nature Notes and by eblast messages. Bringing Back a Winner: Audubon Birdseed Sale! New Garden Landscaping and Nursery and TGPAS are joining forces on Saturday, Oct. 14, offering a special birdseed sale and a wealth of information about our feathered friends and how to keep them around. Not only will there be birdseed to buy, with a portion of the profits going to Pearson Audubon, the event will feature talks about native plants and birds as well as activities for the younger set. Hours are 10 am to 3 pm. All strong backs and enthusiastic buyers are needed. Mark your calendar now. You will want to be there! Watch for more information in next month’s Nature Notes! The winners of the 2017 Audubon Photography Awards have been announced. The winning photos can be viewed here on Audubon.org, and the professional, amateur, and youth category winners’ photos are being displayed within the 2017 Nature’s Best Photography Exhibition at the Smithsonian National Museum of Natural History in Washington, DC. Look through the top 100 entries here and wonder at the beauty and diversity of our world's birds. Also, check out the national Facebook, Twitter and Instagram pages to share and retweet these wonderful photos with your members on your own social media pages. Coming soon: information on how to sign-up for the 2017-2018 Audubon Photography Awards traveling exhibit. Hosting an exhibit of these beautiful photographs is a great way to draw in audiences, inspire a love of birds, and promote your conservation action initiatives. Crow About Your Efforts to Help Birds! Show off your bird-friendly garden to neighbors. You know that native plants help provide vital resources to birds, which is why you’ve decided to help birds by planting native species in your yard or garden. Now you can spread the word about the importance of native plants by placing a beautiful sign in your yard that declares your native plants provide food and shelter for birds and contribute to a healthier world . Your friends and neighbors will know that you are a bird champion! Your donation will help support our efforts to get one million bird-friendly native plants in the ground and we will show our appreciation by sending you an aluminum sign ready for posting. Click here to see the sign and to order it. It's finally here! Time for you to join us from 2-4 p.m. Sunday, Aug. 13, at our second annual Meet & Greet at Scuppernong Books, 304 S. Elm St. Members, both seasoned and new, and visitors who want to learn about Pearson Audubon are welcomed to this event. Our members have limited chances during chapter activities to interact and to get to know one another better. To counter the dearth of “face time" Pearson Audubon folks have to interact and get to know one another better, we believe this Meet and Greet"will fill the bill. We usually hold a Second Sunday Nature Walk. On this date, instead of walking, we'll do some talking – with new members, not-so-active members, and “old hands.” We'll share bird sightings, chat about good places to walk, and get in some R&R. The chapter will provide light snacks and iced tea, but you can also buy adult and other beverages. On weekends, parking is free in all City of Greensboro lots and decks, and so you'll have no problems finding a space. Parking is also available on Elm Street right in front of Scuppernong Books. f you are new to Audubon or have not been able to attend many chapter functions, come on down to Scuppernong and meet each other and some of us long-time members. We can fill you in on what we do and answer questions you have about the chapter and its activities. Spend a pleasant afternoon with fellow Auduboners, or just stop in to say “Howdy.” We'll be pleased to see you. 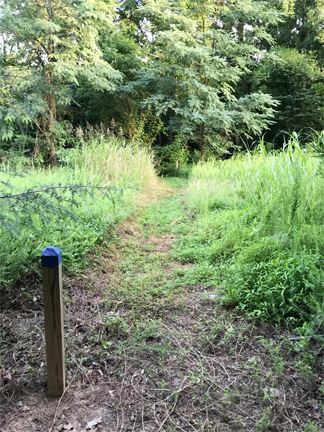 We hope you'll consider joining us at the Audubon Natural Area from 9:30- 11:30 a.m Saturday, Sept. 16, for the Big Sweep Waterway Cleanup, part of Greensboro Beautiful's initiative to clean our waterways and the lands that border them. The Natural Area is located along Tankersley Avenue between North Church and North Elm streets, behind Moses Cone Hospital. The area is a mixture of woods and meadows, has several trails, and is bordered by Buffalo Creek. We need folks to pick up litter along Tankersley as well as in the Natural Area, including Buffalo Creek itself. Sturdy shoes, gloves, and tick repellent are recommended. Trash bags, grabbers, and cold water will be provided. Anyone wishing to augment their adventure by wading the creek will be awarded bonus points. Rewarding also is the feeling you get after working with a group of folks to make a small part of the world a better place. Think globally; act locally. Parking is available by bumping over the curb and parking on the grass, or by using the parking lot behind the bank at Tankersley and North Church. Greensboro Beautiful serves free pizza and water at the trash collection site after the event. No need to register. Just show up for some good, clean(ing) fun! Hayride & Ice Cream Social! Pearson Audubon is going to try something new this coming fall, and you need to mark your calendar so you won’t miss it! We’ve had adult socials, but this time we’re planning an event for the whole family – a hayride and tour of Bowman Dairy followed by ice cream made on the spot at Homeland Creamery. Mark your calendar now for Saturday morning, Oct. 28. Why are we announcing this so early? This event will require advance reservations, and we’re guessing that seats will go fast. 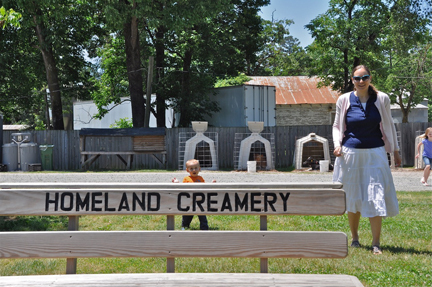 The dairy charges only $8 for the hayride and tour, including for your kids and grandkids over the age of 2. When we get closer to the event, we will begin registering participants so we’ll know how many folks the hayride needs to accommodate. Pearson Audubon has a lot of summer fun left, but we’re already looking forward to having fun this fall! Audubon President and CEO David Yarnold welcomed 435 Audubon supporters during the 2017 Audubon Convention in July at Park City, Utah, hosted by the Great Salt Lake Audubon Society and Utah Audubon Council. He recognized attendees by asking, “What makes Audubon special? You! Thank you for choosing Audubon to spend your volunteer time.” Yarnold, who has served for the past seven years, is the 10th president in Audubon’s history. The theme, “Elevating Audubon – America’s Most Effective Conservation Network,” brought together representatives from 37 states and nine nations, with ages from 12 to 90, from 80 chapters. Noted speakers included naturalist and author Kenn Kaufman, who joined Audubon at age 9. Author of a dozen books and nationally recognized “Kaufman Field Guide” series, he wrote the cult classic “Kingbird Highway.” The crowd responded to his keynote address with a standing ovation. Another highlight was Yale professor and Ornithologist Richard O. Prum, author of “The Evolution of Beauty, How Darwin’s Forgotten Theory of Mate Choices Shapes the Animal World – and Us.” A recipient of the MacArthur, Guggenheim, and Fulbright fellowships, he entertained the crowd with show-stopping slides. North Carolina’s Tom Tribble of the Elisha Mitchell Audubon Society was presented the prestigious 2017 William Dutcher Award. When you attend North Carolina Chapter Day on Aug. 5 in Asheboro, congratulate Tom! If you missed the convention, National Audubon will soon post links for webinar follow up. 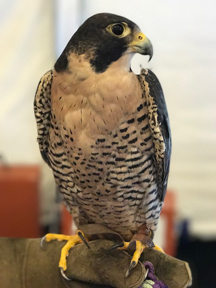 PHOTOS: Hawk Watch International greeted convention attendees with special raptor guests during the final evening in Park City. Peregrine Falcon photo (above left) by Sarah Gilley. 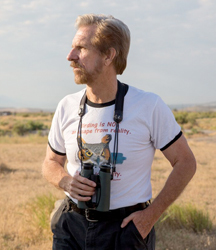 Kenn Kaufman (above, right), a key speaker, wears a shirt that says “Birding is NOT an escape from reality.” Photo of Kenn Kaufman by Camilla Cerea/Audubon .For more photos of the convention, click here. "Like" Us at T. Gilbert Pearson Audubon Society on Facebook!